In honor of the Chinese Tradition of Mooncake Day, my family and I had some Mochi-wrapped Mooncake. Get yours at Sing Cheong Yuan Bakery in Chinatown. 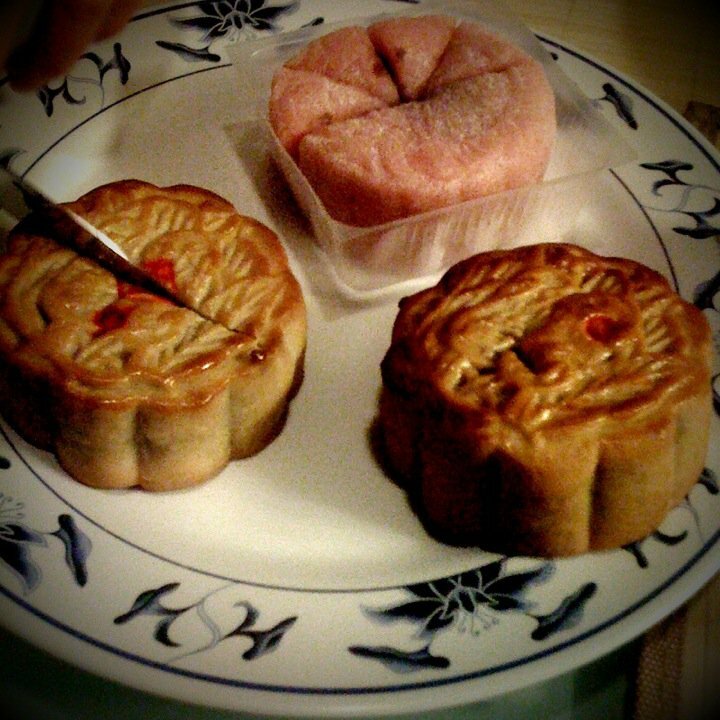 The bottom two are the more traditional Mooncakes.